Mark Williamson is a partner and chair of Alston & Bird's Wealth Planning and Exempt Organizations Group. He is a Fellow of the American College of Trust and Estate Counsel and practices in the areas of estate planning and federal taxation. 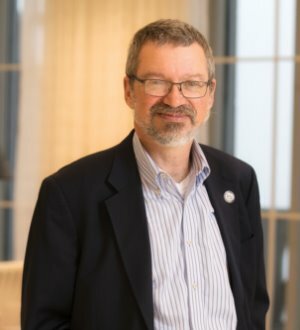 Mr. Williamson practiced with the Milwaukee law firm of Foley & Lardner before joining Alston & Bird and has been an adjunct professor of law at the University of Wisconsin in Madison and Georgia State University in Atlanta. He was on the faculties of the 1997, 1999, 2007, and 2011 Estate Planning Institutes in Athens, Georgia, and the 1997, 2000, 2007, and 2008 Fiduciary Law Institutes in St. Simons, Georgia. In 1997, Mr. Williamson received the Estates and Trusts Magazine "Best Young Author Award" for a series of articles he co-authored with Professor Jeffrey Pennell of Emory University, and is the author of a BNA Tax Management Portfolio on tax treaties for individuals. He is listed in The Best Lawyers in America and is a Georgia "Super Lawyer." Mr. Williamson also studied at the doctorate level at Louisiana State University and the Catholic University of America, and continues to perform professionally including a three-week tour of China in 2011-12. University of North Texas, M. M.